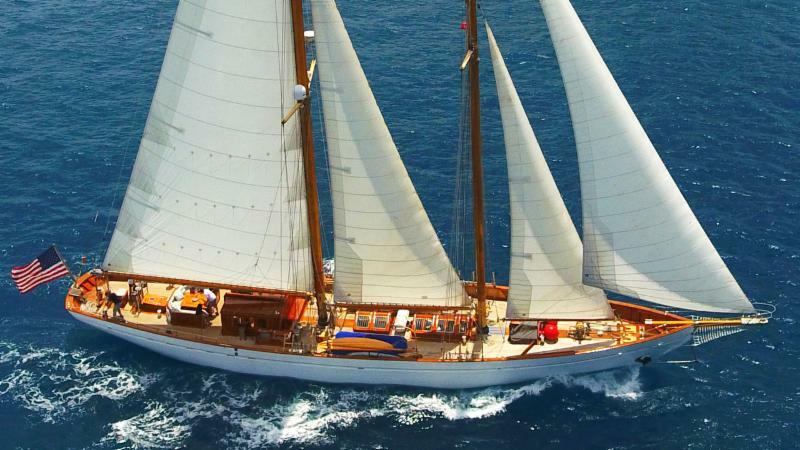 Looking great this year, under new ownership, who has replaced the old red upholstery on the settees in the original teak paneled saloon with light blue cotton upholstery and who have put Director’s chairs on deck, old-world style, the beautifully varnished, restored, 115’ British-built schooner EROS is the epitome of 1938 luxury. 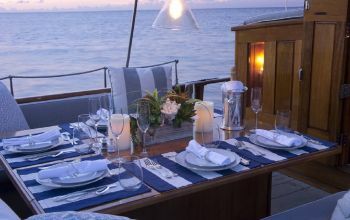 High bulwarks surrounding flush teak decks forward of the chart house have large butterfly hatches that let in lots of light, while a small cockpit aft around an out of door dining table adjoining the chart house allows guests to sit comfortably, undisturbed at sea. 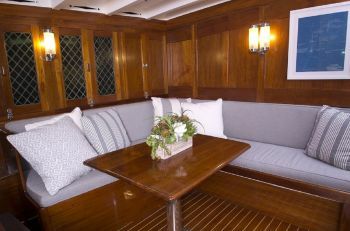 With helm aft, a varnished companionway leading below through the chart house opens to a central corridor, off of which are four guest cabins of varying sizes. 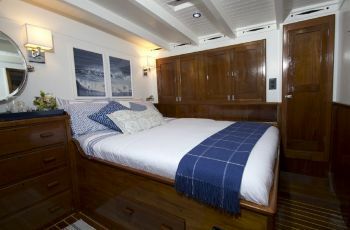 The largest stateroom, the master cabin, with white paint and original mahogany furniture, has a large Queen berth and adjoining bathroom with Jacuzzi tub. 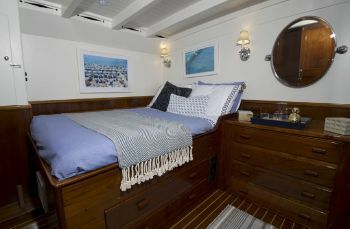 Opposite is the VIP guest stateroom with private bathroom and shower. 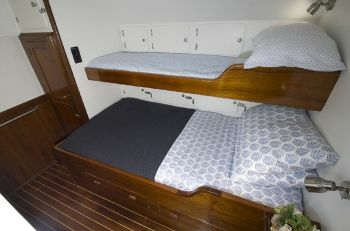 Aft of those cabins are two upper and lower twin cabins, each with lower double berths, but one lower double is quite narrow; so it could be considered a single bunk. 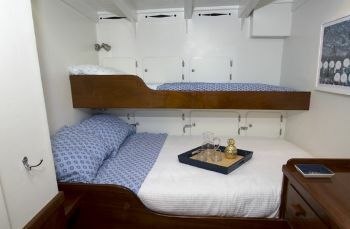 Both staterooms share a bathroom with shower. 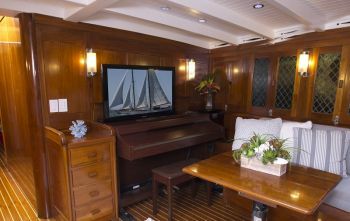 Fully air conditioned, the spacious, full-width saloon has beveled mahogany paneling, white ceiling, wall sconces, a player piano, and a nicely set, gimballed dining table. 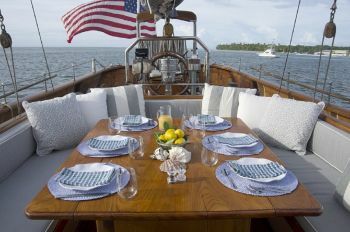 The full width stainless steel galley and crew quarters for six are forward. 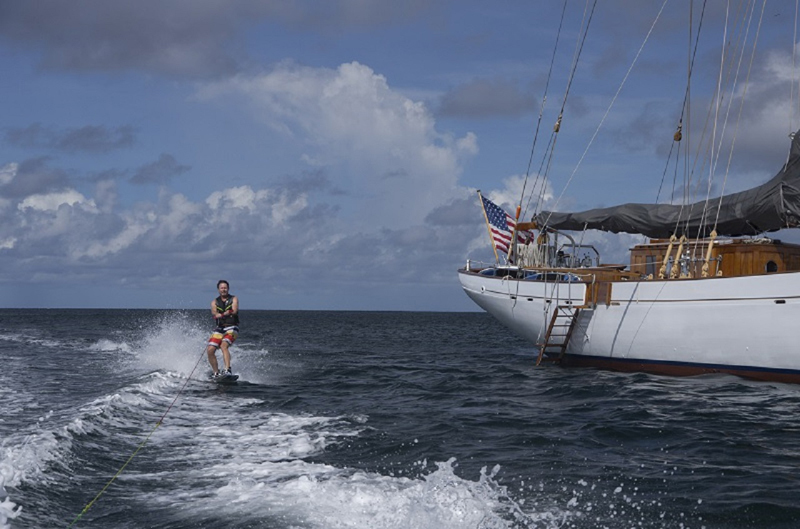 Originally from Britain, Captain Alastair Doyle-Dimes now calls Belfast, Maine home. 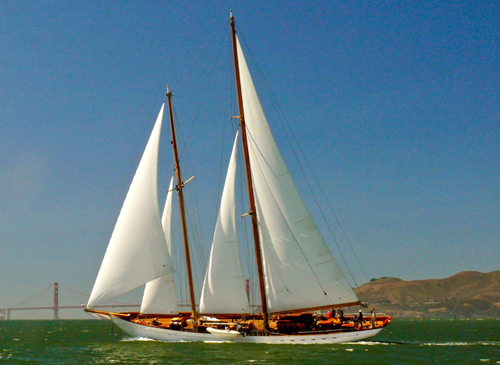 An avid yacht racer, he enjoys sailing Eros for her solid build, her 13’ draft, and 9,000 square feet of brand new sails. 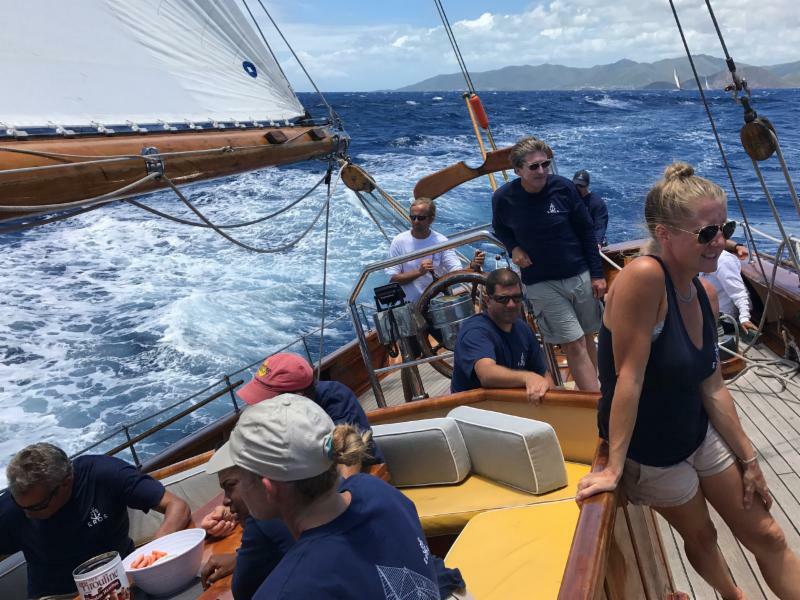 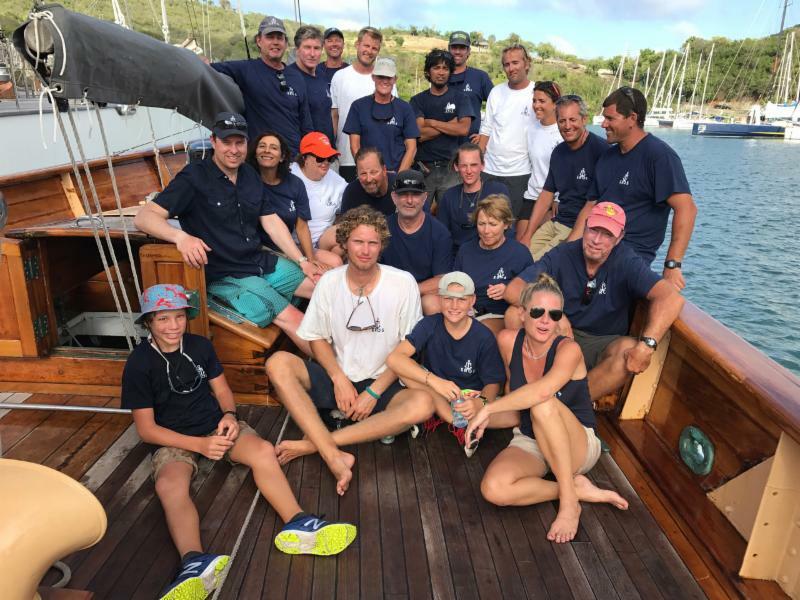 Following EROS’s charter season in New England this summer (2017), she will head to the BVI for winter, where guests can visit St. John, Peter Island, the Bitter End, Virgin Gorda, Guana Island, Jost Van Dyke, and St. Thomas. 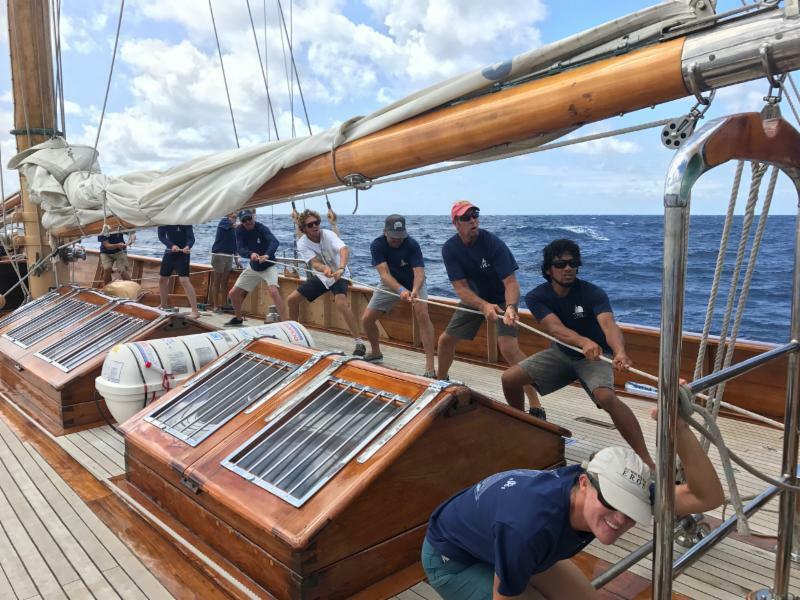 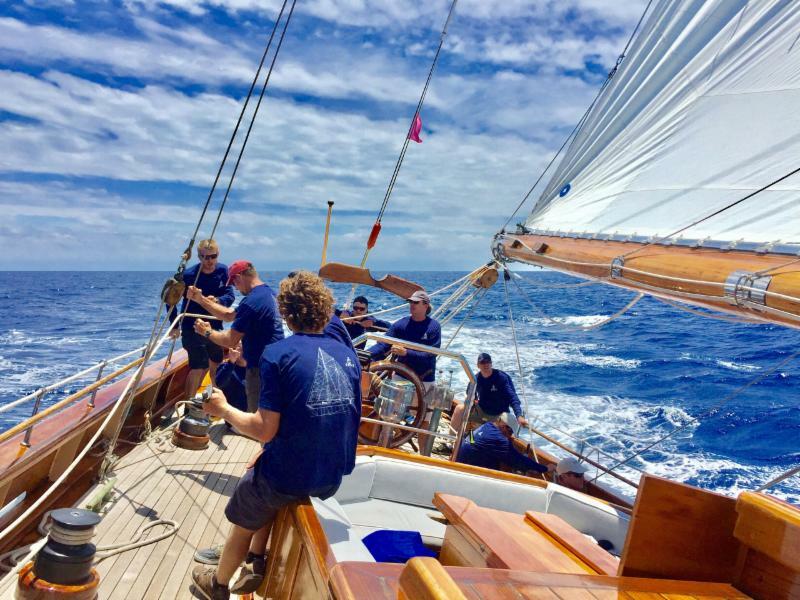 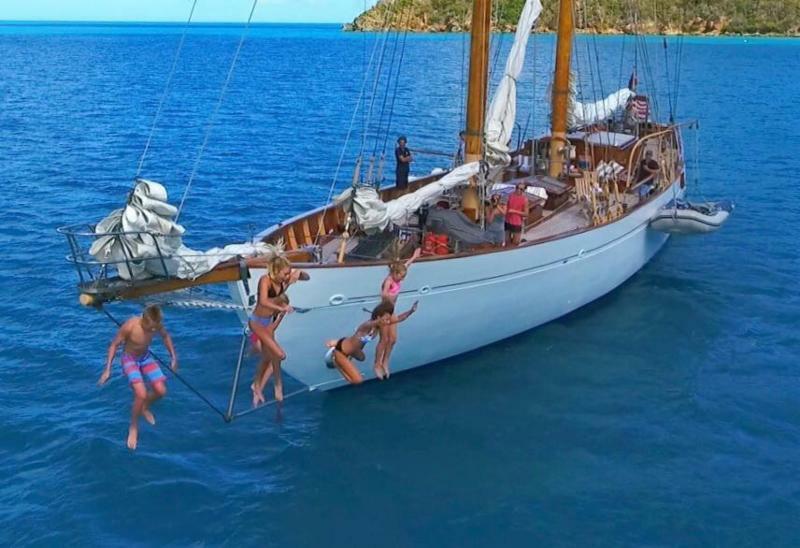 Or they can charter EROS for any of the Caribbean’s classic yacht regattas, where up to eight guests can join crew and participate in some of the most exciting sailing imaginable. 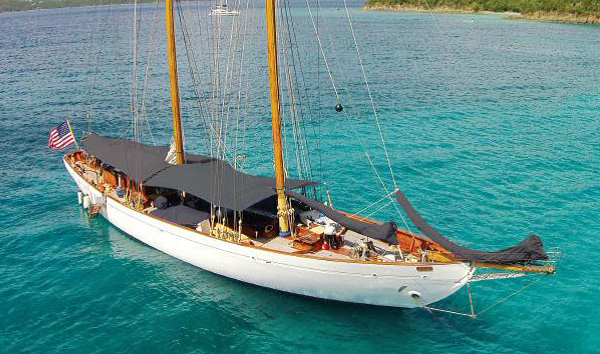 Fly in and out of St. Thomas, USVI. 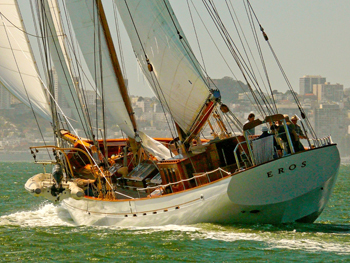 Please click here to see a photo presentation of EROS.